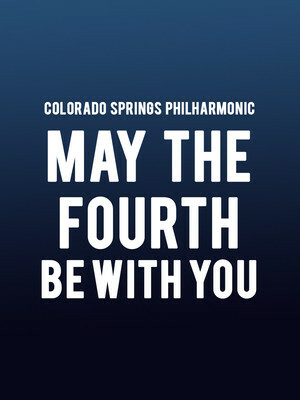 Why See Colorado Springs Philharmonic - May the Fourth Be With You? The most venerated day of the year in any Star Wars fan's calendar, May the 4th is swift approaching. To celebrate, the Colorado Springs Philharmonic are calling all Jedis to the Pikes Peak Center for this cosmic concert experience! Featuring John Williams' epic scores played by a live orchestra, relieve some of the series' best moments, from the stomping Imperial March to that unforgettable theme. So, grab your lightsabers and get ready to pay tribute to the classic movies in style. 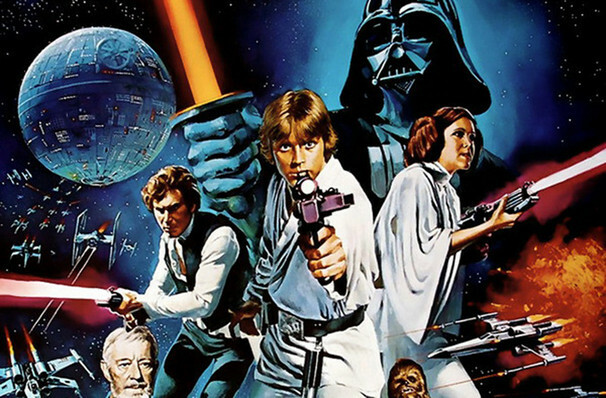 1977's Star wars (later subtitled A New Hope) truly changed Hollywood movies forever. Produced on a small budget, and featuring a cast of mostly unknowns, it was a worldwide sensation and began a sci-fi franchise which is still packing out cinemas to this day. Set a long time ago, in a galaxy far, far away, it's the epic battle between the forces of good and evil, with Luke, Chewie, Han and Leia on one side, and The Emperor and Darth Vader on the other. Subsequently, the series now stretches to 8 main movies, with Episode 9 (but actually 3) on its way soon! Sound good to you? Share this page on social media and let your friends know about Colorado Springs Philharmonic - May the Fourth Be With You at Pikes Peak Center. Please note: The term Pikes Peak Center and/or Colorado Springs Philharmonic - May the Fourth Be With You as well as all associated graphics, logos, and/or other trademarks, tradenames or copyrights are the property of the Pikes Peak Center and/or Colorado Springs Philharmonic - May the Fourth Be With You and are used herein for factual descriptive purposes only. We are in no way associated with or authorized by the Pikes Peak Center and/or Colorado Springs Philharmonic - May the Fourth Be With You and neither that entity nor any of its affiliates have licensed or endorsed us to sell tickets, goods and or services in conjunction with their events.